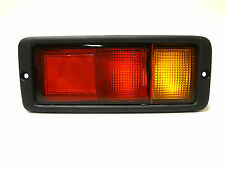 Land Rover Defender Models 2001 Onwards Round Rear Fog Light Lamp Unit. 2 x 12V 55W H3 'E' approved powerful Halogen bulbs (Fitted). For mounting above or below the bumper, complete with 2 x 12 volt 55 watt H3 'E' approved powerful Halogen bulbs. Perfect for the Winter Nights, Made from top Quality high impact ABS so will not Rust. 2014 Fiesta. Fit fog lamp assemblies with H11 halogen bulbs for vehicles - VISIBILITY INCREASE: These LED fog lights provide maximum light output to improve visibility during night driving. - MULTIPLE COLOR CHOICES: Available in white, amber and blue. Fit for VW Volkswagen Bora Jetta MK4 1999-2004. 2 x Bumper Grille Fog Lights(Bulbs are included). - It makes the car been seen at much further distance. LED color temperature: 6500k. Lens color: Clear. Complete With 2 x 12 Volt H3 55watt 'E' Approved Powerful Halogen Bulbs. Full Fitting Instructions Included. ABS Plastic Base Mounting POD. 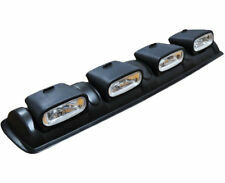 4x4 Universal White Overhead Spot - Fog Lights. Aluminium Spot Light Housing. Easy to fit - Strong M3 rear adhesive universal fit. Fits all vehicles small or large. Universal Application 12V. 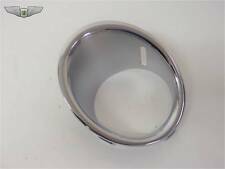 Stainless Steel Rear Foglight. Highly Polished Stainless Steel Body - Mirror like finish. Locking Wheel Nuts. Car Accessories. Car Wiring. Boxed 10 x 12V 1.2W Dashboard Speedo Das. Product Information. Powerful DRL and Fog light you can fit on your bumper. The DRL Angel eyes are 3W each. Which are 3x more powerful than any other light on the market. 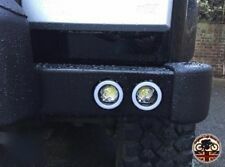 The Fog light, which in this case is wired to the side light on the Defender. 80mm Between fixing holes. Low power consumption. 12 Long life LEDs. 2 x Screw fitting. For Audi: 8E0941699B/ 8E0941699. Fit for A4 B7 2004.11-2008.06. Fit for Audi A4 B6 2000.11-2004.12. Fit for A4 Avant B6 2001.04-2004.12. Fit for A4 Avant B6 2004.11-2008.06. Fit for A4 Convertible B6/B7 2002.04-2009.03. 1x Battery - Relay red wire with blade fuse holder and fuse (2m Long). 12v UNIVERSAL SPOT LIGHT WIRING KIT. 2x Lamp - Relay blue wires (1.4m Long). 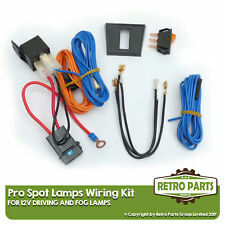 This wiring Kit is designed to install a pair of lights to any 12v application. Fit for VW Golf MK7 2013-2017(Not fit for GTI,R-Line car model). Its stylish design is perfect to decorate your car. 1 Pair Fog Lights ( Bulb is included). This item have 3 months warranty. Lens color: Clear. Two Classic Hella Protective Covers. Hella Lens reference 37.5. Universal Fog Light Wiring Kit & Switch. Fixing kit & wiring diagram. Led switch. Fit for VW Jetta MK6 2011-2014. Fit for VW Golf MK6 2009-2013. Fit for VW Tiguan 2012-2013. Fit for VW Golf plus 2009-2013. Fit for VW Golf Cabriolet 2012-2014. Fit for VW Eos 1F 2011-2013. Fit for VW Caddy 2K 2011-2013. For E-Class W212 2009-2014. For C-Class W204 / S204 2007-2014. 1pcs Front Left Fog Light ( Part Number: A2049068900). 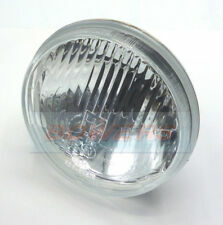 1pcs Front Right Fog Light ( Part Number: A2049069000). Type:LED Fog Light. Position:Front Left & Right Side (without Light Bulb Included). (Fit for 11-15 Mitsubishi RVR. Compatible With: Fit for 10-15 Mitsubishi Outlander. Fit for 11-15 Mitsubishi Outlander Sport. 2x Fog Light. 3) Perfect match for the original car. This item have 3 months warranty. Suitable for surface mounting only. Easy to fit and compact in size. Not sure what you need?. Give one of our trained sales advisors a call and they'll be glad to help you out. ALM Electrical Solutions is the UK's premier supplier of auto electrical parts and products. MINI Cabrio. Gives your MINI a highly distinctive look. Will it fit?. Image is for illustrative purposes only, actual product may vary. WILL IT FIT?. Represented by part number 8 in the diagram. This warranty does not affect your statutory rights. For VW Golf Jetta GTI MK5 2005-2009. Fog light with Bulb. 1 Pair Fog Light (with bulb). Fit for Part Number:1K0941699C(Left);1K0941700C(Right). This item have 3 months warranty. Description: 2 pieces (left & right) of OEM style front bumper driving fog light cover surround grill for VW T5 Transporter 2010-2015 Direct bolt on installation Dark gray ABS Plastic cover 1 year warranty Applications Fitment of this front bumper fog light cover: Original OEM Stock / Manufacturer Part Numbers: 7E5807489A, 7E5807490A, 7E0807489A, 7E0807490A, 7E5807489AGRU, 7E5807490AGRU, 7E5807489DGRU, 7E5807490DGRU VW: VW Transporter T5 2010-2015 PLEASE CHECK CORRECT FITMENT BEFORE PURCHASE!!! Package included:. For VW Golf Jetta MK5 2006-2009 US Version. Fog light with Bulb. 2 x Fog Lights (with bulb). Very bright, long lasting, low power consumption. Easy to install. Bulb Type: 9006. HELLA RALLYE 3000 PROTECTIVE COVER. To Fit Rallye 3000 Spot Lights. These Hella stone shield covers are just what you need to protect your driving lights. They keep your lights in good condition when you're not using them and also give an improved look to the outside of your vehicle. Fits the following models: R55, R56, R57. Genuine BMW parts have been designed with a particular series model in mind so you can get the perfect fit and function. Benefits of BMW Parts. If you live in Northern Ireland, Scottish Highland, or any of the UK Islands, this may apply. 80mm Between fixing holes. 17 Long life LEDs. Low power consumption. 2 x Screw fitting. 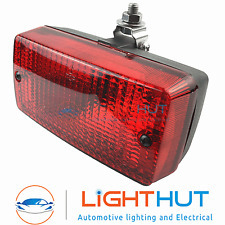 Fit for Ford Focus MK2 2005-2008. 1 Pair Fog Lamp ( light bulbs is included). Position: Front, Left, Right Side. - Strong penetration,improve driving safety during bad weather. After using, the temperature of bulb is very high,don't directly touch with hand. 1x Wipac rear fog lamp. 140mm (Length) x 75mm (Width) x 67mm (Depth). E Approved. FORD FOCUS RS MK1. NEW GENUINE FOGLAMP BEZEL SET. Fit for Audi A6(C5) sedan/Avant 2002-2005. Fit for A6 quattro sedan/Avant 2002-2005. Life span: 400h(B3)/800h(Tc). - Strong penetration,improve driving safety during bad weather. Bulb: 12V 55W. After using,the temperature of bulb is very high,don't directly touch with hand. Fits ALL 2001 to Nov 2006 Mini One, Cooper, Cooper S. Stainless steel brackets (Pair). This set does not include fixings to attach the brackets to the inner skin of your bonnet. Everyone has different ideas as to what is best to use, rivets, self tapping screws, bolts etc. Universal Fog Light Wiring Kit & Switch. Led switch with fog symbol, Illuminates RED. Fixing kit & wiring diagram. Relay Base. Fit for Audi A6(C5) sedan/Avant 2002-2005. Fit for A6 quattro sedan/Avant 2002-2005. Life span: 400h(B3)/800h(Tc) OEM: 4B0941699C 4B3941700C. 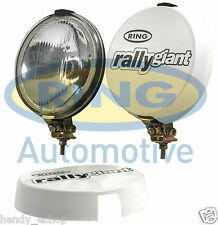 1 x Left & Right Fog Lamp ( light bulbs included). -Clear front fog lights set. Wipac Universal Rear Red Fog Lamp Light Foglamp Unit Car Trailor 4x4 - SVA Oblong Foglight. Fit for VW Polo MK5 6R/6C 2009-2013 Facelift（Only fit hatchback models）. 1 x Left side grille. 1 x Left side fog light( Bulb is included). Lens color: Clear. Housing color: Black. Material: ABS & PC. 1X Front Halogen Fog Light Lamp For Benz W211 E350 E550 2007-2012. 1 x Right Fog Light (Right). - Interchange Part Number: MB2592117 / MB2593117. - Len Color :Clear. This item have 3 months warranty. LED Car Interior Atmosphere Glow EL Wire Neon String Strip Lights Orange Lamp UK. 1-5M Blue LED EL Wire Neon Glow Car Interior Atmosphere Strip Light Decor USB UK. 4Pcs Self adhesive Car Bumper Corner Guard Protector Stickers Strip Universal UK. Fit for Audi A6 C5 1998-2001 4.2 V8. Fit for Audi S6 C5 1998-2001 4.2 V8. 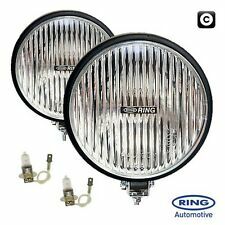 1Pair Front Fog Lamp (light bulbs included). - Strong penetration,improve driving safety during bad weather. Position: Front, Left, Right Side. '4 F T' Fog lamp. Fit for Part Number(Left): 8E0 941 699C / 8E0941699C. Fit for Audi A4 B7 2005-2008. Fit for Audi A3/S3 2010-2013. Fit for Audi A4/Avant 2005-2008. Bulb: 12V 55W. Position: Front, Left Side. After using, the temperature of bulb is very high,don't directly touch with hand. Fit for Audi Q5 2009-2016 (Does not fit for Sport model). Fit for Audi A4 Sedan/Avant 2008-2012(Does not fit for Sport model). Life span: 400h(B3)/800h(Tc). Clear front fog lights set. Fit for Audi A4/S4/Avant/Quattro 2008-2012 (Does not fit for Sport model). Ideal as a auxiliary rear fog lamp unit. LED rear fog lamp. With long life LED's. Has very low power consumption. Description: 2 pieces (left & right) of OEM style front bumper driving fog light cover surround grill for VW T5 Transporter 2003-2009 Direct bolt on installation Dark gray ABS Plastic cover 1 year warranty Applications Fitment of this front bumper fog light cover: Original OEM Stock / Manufacturer Part Numbers: 7H0807489B, 7H0807490B VW: VW Transporter T5 2003-2009 PLEASE CHECK CORRECT FITMENT BEFORE PURCHASE!!! Package included: 1 Pair VW Transporter T5 2003-2009 fog light cover surround grill left & right. 12v Pre-Wired Fast Fit Driving/Fog Lamps Spot Lights Wiring Loom Kit with Relay Full Pro Wiring Fitting Kit with Rocker Switch. 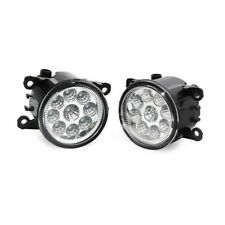 Ideal for 4x4 and grill rally lamps. You can connect directly to battery or come off an existing live. 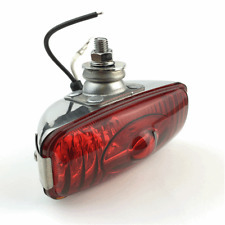 For Driving and Fog Lamps Provides all the necessary wiring and comprehensive fitting instructions to fit a pair of lamps quickly and effectively. Includes 30 amp relay, in-line fuse, all necessary wiring pre-wired to relay, illuminated rocker switch and bracket Perfect for Driving and Fog Lamps Includes everything you need to power your lights Suitable for most 12v 55w lamps Kit Contains: 30 amp Fused Relay with Pre Wired Loom 15 amp blade fuse and holder pre wired Illuminated Rocker Switch Switch Bracket Fixing Screws Splice Connector Full instructions included. Fit for Part Number(Left): 8E0 941 699C / 8E0941699C. Fit for Part Number(Right): 8E0 941 700C / 8E0941700C. Fit for Audi A4 B7 2005-2008. Fit for Audi A3/S3 2010-2013. Fit for Audi A4/Avant 2005-2008. Suitable for all vehicles, install rear of the vehicle, at night or in fog weather alerts and reminders for the rear of the vehicle. Easy to install. The product can make the driver drive farther and more effectively to warn the rear of the vehicle not to get too close so that can avoid traffic accidents. 12v 30amp Lighting & Accessory Wiring Kit. 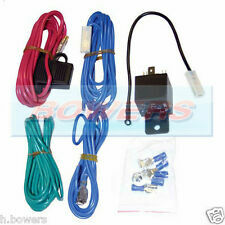 Has colour coded wiring that tallies up with the straight forward wiring instructions. 1x 4pin 12 volts 30amp relay with self tapping screw. Wiring instructions. Seperate functional angel ring wiring. Clear 6" Spot lights. Clear lamp. (Two independent thin wires). This is one lamp, select qty required. Glass lense. Simple to fit. Need it fast?.